People love Starbucks. People love unicorns. So it was only a matter of time before these two joined forces and created something so delicious, so majestic, so magical that we'll be throwing an entire month's wages at daily frappuccinos. Oh we wish we were exaggerating but the bank statements will speak for themselves. In 2017, all the best foods come in unicorn colours. Easter eggs, hot chocolate, cheese toasties and bagels, they're all dressed in that mixture of gentle blues, pinks and purples. The only thing missing from that list is an ice cold coffee - UNTIL NOW. 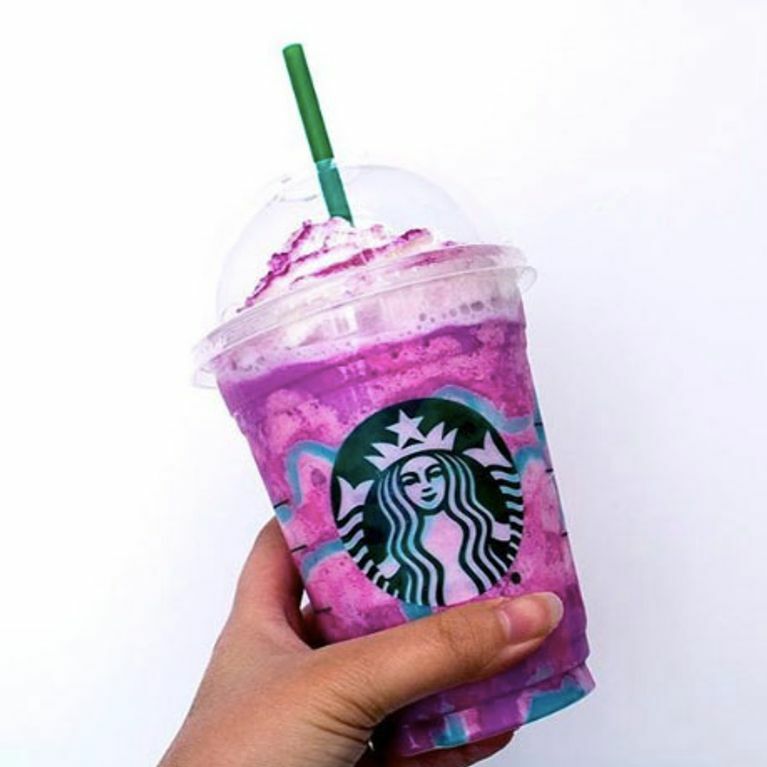 Yep, Starbucks have finally got their act together and created the unicorn frappuccino. Whilst it remains purely conjecture at the moment, a Redditor recently posted a pic with the caption 'Unicorn Frapp topping', and as we all know, if the internet says 'Unicorn Frapp topping' three times then it becomes a real thing. And so began the campaign for a unicorn frappuccino, with Instagram taking the reins as coffee fans began posting pics using the #UnicornFrappuccino hashtag. The colourful drink is a mixture of soft purple and blue, topped with cream and dusted with coloured sprinkles. Food blogger Mike Fahey managed to get his hands on an early prototype of the drink, as he reviews on his Snacktaku YouTube page. Fahey, who has inside connections to Starbucks (his wife works there), described the rainbow drink as having a sour raspberry flavour which kind of tastes like fresh fruit or mango, but was accompanied by a "horrible sour syrup" and sprinkles of sour sugar on top - definitely a drink for those with a sweet tooth.